It best to call, to discuss details for proper pricing. Disposal fees I pay are by the weight. 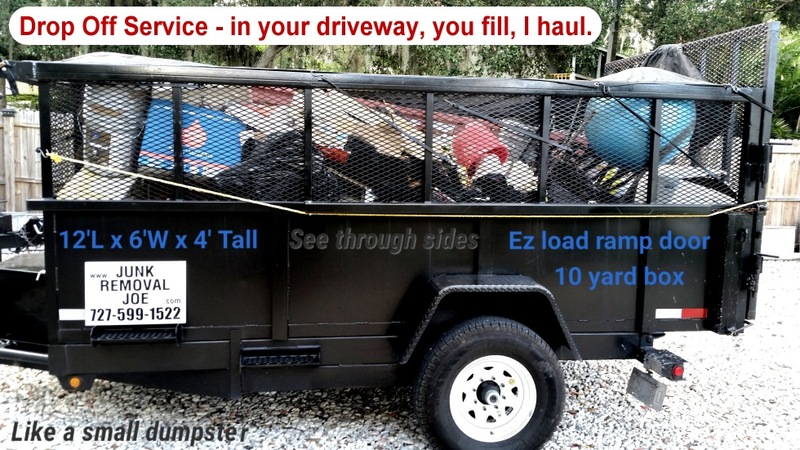 I ask you the customer what kind of junk / material you are looking to put into the trailer. Sometimes a full trailer load from some branches can be a few hundred pounds or jobs like tile can be a few thousand pounds. Just call to discuss what you’ve got going on & what your looking to get rid of in the trailer. On average drop off trailer prices are $180-$200. That is for 2000 to 3000lbs. It’s rare people go over 3000lbs. I usually charge $25 for each additional 1000lbs if it turned out to be that heavy after dumping your trailer load. I provide a daily rental dropped off in the morning & picked up late afternoon. Take the day to fill it at your leisure. Brush yard waste trimmings, sort through garage household clutter, old furniture & appliances, & construction project debris are typical trailer loads. 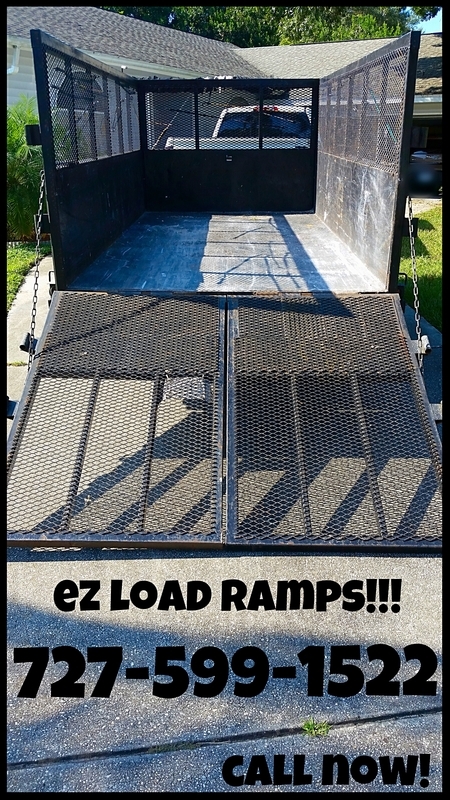 All of my 10 yard dump trailers have ramps to make loading easier! No other drop off service in the area has custom built trailers with this feature. This makes loading a trailer so much easier on the knees rather then climbing up & down a ledge when your loading it with junk! Great for dragging brush into the trailer box. Use a hand truck or wheel barrel up the ramp. My trailers also have see through sides making it easy to see where there is more room to fill if needed. I typically do not haul heavy loads over 3500 pounds. I do have one super heavy duty trailer in my fleet for jobs that may be over 3000-7000lbs. Otherwise heavy materials such as concrete, dirt, bricks, pavers, railroad ties, shingles, large amounts of tile, tree trunks are loads I may turn down. I can always recommend a commercial heavy hauling company that I do business with. I cater to residential customers that need my light to medium hauling service. Call me to talk about what your looking to put in the Drop off trailer for a price quote.